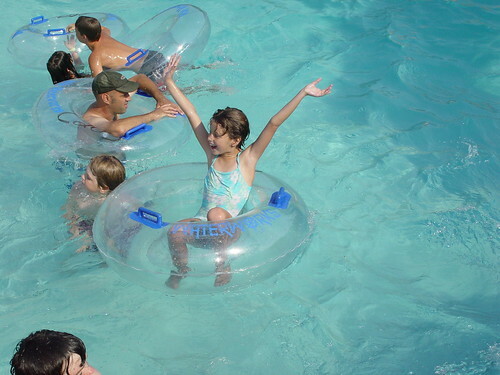 Water Parks in Ontario - Excitement for the Whole Family! Water parks in Ontario are great family destinations. Discover Great Wolf Lodge Niagara Falls, Canada's Wonderland, Fallsview Indoor Waterpark, and more. Kitchener. Big Splash Waterpark with wavepool and slides. Funworx Indoor playground, rock climbing, mini-golf, etc. Part of the Bingeman’s Camping Resort. East of Ottawa. Calypso is one of the newer waterparks in Ontario, having just opened in June 2010. In addition to slides they have a river run, Canada's largest wave pool, and a whitewater experience. Dining options include picnic area, restaurants and a beach bar. Vaughan (about a 30-minute drive north of Toronto). This is both a water park and amusement park, with some of the biggest rollercoaster rides in North America. Kids and adult thrill-seekers will enjoy this. Click on the link for another article on my site about Canada's Wonderland. Niagara Falls Ontario. This Niagara Falls water park is connected to four brand name hotels in central Niagara Falls. Part of the Falls Avenue Entertainment Complex. You don’t have to be a guest at one of those hotels. You can purchase a day pass but they’re limited based on availability so try to book ahead. Click on the link for more information. Niagara Falls Ontario. Sorry, no wolves here! But lots of family fun! This Niagara Falls water park is one of a chain of 12 lodges (all of the others are in the United States). This sole Canadian outlet opened in April 2006. Note: You have to be a guest at the lodge in order to use the Water Park. Near Collingwood. This water park at Ontario's largest year-round resort features hot tubs, rope swing, slides, swimming lessons and more. Brampton (near Toronto). This park features tube slides, swimming pool, lazy river, wave pool. Non-water features include a drive-in theatre and an indoor sports complex. Hamilton. Great slides and one Canada’s largest outdoor wave pools. The Water Park is located in Confederation Park, which lines the beach along the shore of Lake Ontario. Take a relaxing stroll along the boardwalk and stop at Hutch's for ice cream (you’ve earned it!) or Baranga's on the Beach, a popular restaurant with outdoor seating.